This would make a great gift for your dog and yourself! 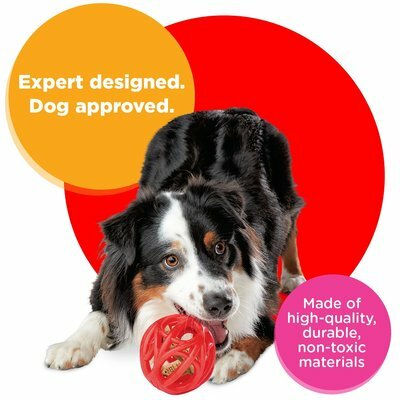 It will keep them busy for hours, with the all natural rubber, vanilla scent (no more smelly doggy breath after chewing these toys) and the best part is that you can hide dog treats inside. This is a great way to get your dog chewing and cleaning his teeth as well as going after some healthy treats inside. If he chews long enough he will get the prize! 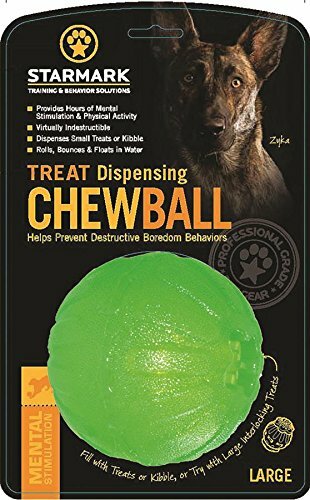 Monster Mouth treat dispensers have become quite popular and are a great way to keep your dog busy and interested in a chew toy instead of your furniture! If you want something more challenging then check out the toys below! Keeping your dog busy is the perfect way to burn off some mental energy and a bit of steam chasing these toys around the house. They only drop one or 2 treats at a time, but just enough reward to continue playing to get more out. If you are at work all day, make sure to fill one of these dog treat dispensers before you leave so they have something to do. This way your furniture has a chance of surviving a bored dog. Dog Treat Dispenser - For Aggressive Chewers! 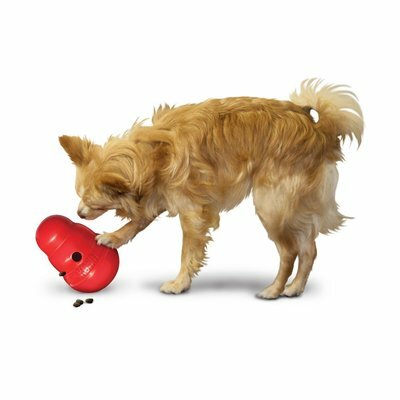 If you have a large dog or a dog that has strong jaw bones and is an aggressive chewer, then you need a dog treat dispensing toy that can handle the heavy chewers. 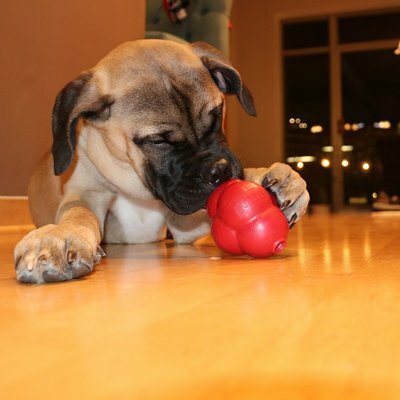 Below are just a few that are labeled for the tough chew, so that the toy will last. You know your dog better than anyone. Some dogs are easily entertained with a chew bone or toys and then nap the day away. 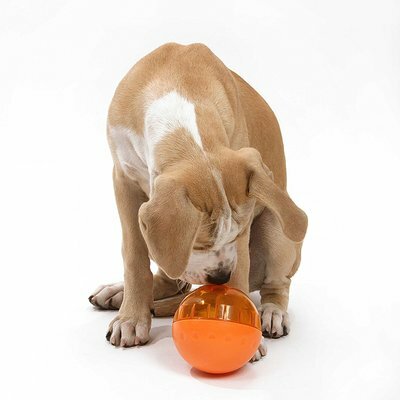 Some need some background noise such as a radio or the TV to feel calm and relaxed, and others need more of a challenge to fight off boredom, so using these treat dispenser, or interactive toys filled with treats or their kibble is the perfect way. When they discover a tasty prize can be the result of some heavy chewing and rolling around the room, they will keep at it. This keeps them mentally stimulated so that your couch or shoes don't look like the next challenge. Investing in just a few of these affordable options can make the difference when it comes to your home furnishings and shoes!